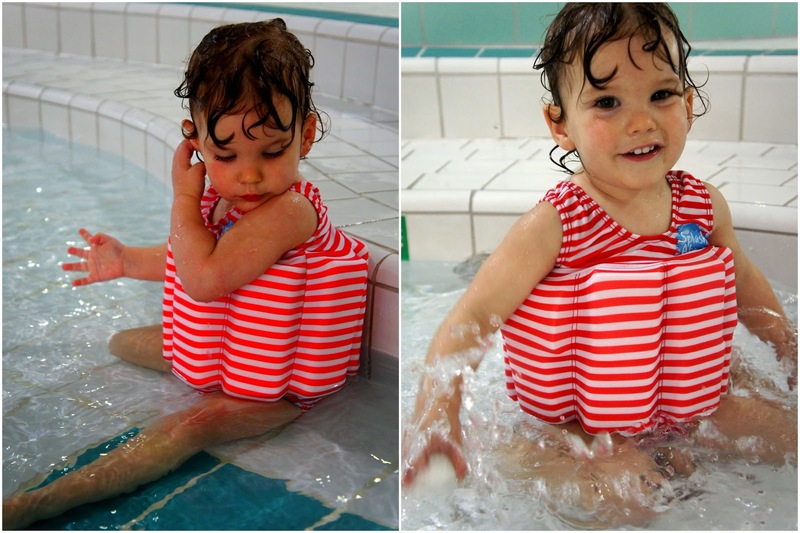 This week my dad & I went swimming with little Olivia. It had been a while since our last swim, but she was so brave and confident in the water. It was the first time my dad and his granddaughter went swimming together. I think they had a great time. That little face cracks me up every time.